The MATP gene determines the different variations of the colour cream. Depending on the expression of the basic colours chestnut, brown or black several variations of the colour cream are possible. Horses that do not carry the gene for the colour cream (c/c) show one of the basic colours chestnut, brown or black. Horses that carry one copy of the cream gene (C/c) show diluted colours: Chestnut is diluted to palomino; bay is diluted to buckskin and black is diluted to smoky black. Horses that carry two copies of the cream gene (C/C) show double diluted colours: Chestnut is diluted to cremello; bay is diluted to perlino and black is diluted to smoky cream. Our test specifically detects a mutation in the MATP gene, which has been shown to be responsible for the described cream colours. 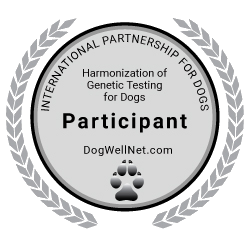 Other genes or mutations causing similar coat colours are not identified by this test.